Would there be justice? What if there was no penalty for breaking the law? Would you be at peace? Would you be happy in that kind of world? 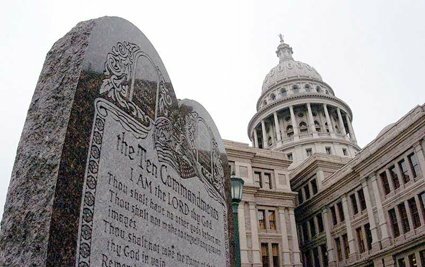 The issue of whether or not the Ten Commandments should be displayed on U.S. government property went before the Supreme Court in March 2005. Gatherings were held outside of the courthouse in support of the Ten Commandments. Since then, every May, a "Ten Commandments weekend" is held to honor the divine Law. The issue, however, is much larger than this. 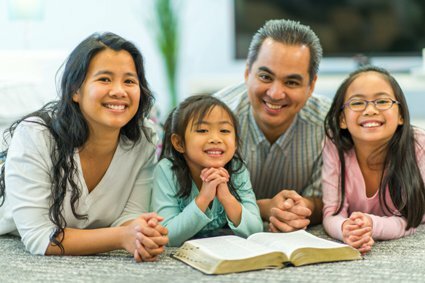 While great effort is being put forth to bring back the Ten Commandments to government property, little effort is being put forth to bring back the Ten Commandments to our lives. Just: Yahuwah - Romans 3:26; His Law - Romans 7:12. True: Yahuwah - John 3:33; His law - Nehemiah 9:13. Pure: Yahuwah - 1 John 3:3; His law - Psalm 19:7,8. Light: Yahuwah - 1 John 1:5; His law - Proverbs 6:23. Faithful: Yahuwah - 1 Corinthians 1:9; His law - Psalms 119:86. Good: Yahuwah - Nahum 1:7; His law - Romans 7:12,16. Spiritual: Yahuwah - John 4:24; His law - Romans 7:14. Holy: Yahuwah - Isaiah 6:3, 1 Peter 1:15; His law - Exodus 20:8, Romans 7:12. Truth: Yahuwah - John 14:6; His law - Psalms 119:142,151. Life: Yahuwah - John 14:6; His law - Matthew 19:17. Righteousness: Yahuwah - Jeremiah 23:6; His law - Psalm 119:172. Perfect: Yahuwah - Matthew 5:48; His law - James 1:25. Eternal: Yahuwah - John 8:35; His law - Psalms 111:7,8. Peace: Yahuwah - Isaiah 9:6; His law - Psalm 119:165. The Way: Yahushua - John 14:6; His law - Psalm 119:30-32. Sure: Yahuwah - 2 Timothy 2:19; His law - Psalm 19:7, 111:7,8. Unchanging: Yahuwah - Malachi 3:6; His law - Psalm 111:7,8. Sweet: Yahuwah - Psalm 34:8; His law - Psalm 19:10, 119:103. Wise: Yahuwah - Psalm 111:10; His Law - Psalm 19:7. Our Meditation: Yahuwah - Psalm 63:6; His law - Psalm 1:2. Judge: Yahuwah - Psalm 50:6; His law - James 2:12. Enlightenment: Yahuwah - Psalm 18:27; His law - Psalm 19:8. Love: Yahuwah - 1 John 4:7,8; His law - Romans 13:8-10. Clean: Yahuwah - Psalm 19:9; His law - Ezekiel 22:26. Blessed: Yahuwah - Psalm 28:6; His law - Exodus 20:11. Delight: Yahuwah - Psalm 37:4; His law - Psalm 1:2. Wonderful: Yahuwah - Isaiah 9:6; His law - Psalm 119:18. Liberty: Yahuwah - Isaiah 61:1; His law - James 1:25,Psalm 119:45. Comfort: Yahuwah - Psalm 23:4; His law - Psalm 119:50. Our Song: Yahuwah - Revelation 15:3; His law - Psalm 119:54. Knowledge: Yahuwah - Isaiah 11:2; His law - Psalm 119:66. Hope: Yahuwah - Psalm 130:7; His law - Psalm 119:74. Life: Yahuwah - Psalm 36:9; His law - Proverbs 3:1,2. Sound: Yahuwah - Proverbs 8:13,14; His law - Psalm 119:80. Understanding: Yahuwah -Psalm 147:5; His law - Psalm 119:99. Happiness: Yahuwah - Psalm 146:5; His law - Proverbs 29:18. Joy: Yahuwah - Psalm 16:11; His law - Psalm 119:162. Yahushua, the only begotten Son of Yahuwah, was "perfect" and "pure," without sin. But what is sin? So, the purpose of the Law is to show us, or help us define sin. And what is the penalty for breaking the Law (sinning)? But is it even possible to keep the Commandments? Some people, even "pastors," say that the Commandments no longer apply to us. So, Yahuwah's Commandments which He wrote twice with His own finger on tables of stone are no longer relevant? So does that mean Baal worship and child sacrifice was only wrong in the Old Testament? So it would be acceptable to worship a golden calf today (Exodus 32)? So Pharaoh's bold blasphemy against Yahuwah's Name would not be labeled a sin today? So the Sabbath Commandment only applies to the Old Testament and the New Earth (which will stand forever)? So Absalom's dishonoring his father, David, was only wrong in the Old Testament (2 Samuel)? His behavior would today be commendable in the sight of Heaven? So Cain's murder of his brother, Abel, would not be considered a sin today? So David's lust for another man's wife (Bethsheba) would today be acceptable in the sight of Heaven? Adultery is no longer a sin? So when Achan stole the silver from Jericho, and consequently destroyed the lives of innocent people, that was only a sin back then (Joshua 7)? Stealing, today, is okay? So Satan's lie to Adam and Eve in the garden would not be considered a sin today? Lying is today commendable in the sight of Heaven? And, finally, the sin that started it all... the sin that made the devil who he is: coveting Yahuwah's throne. So coveting is not viewed by Heaven as a sin today? Satan's covetous spirit is no longer at odds with Yahuwah's righteousness and Heaven's Commandments? The Law was not given to be a burden to us, but to make us happy and give us peace. No government, earthly or Heavenly, could be sustained without law. It is not merely the outward display of the Commandments on government property that we need... but rather the Commandments written in our hearts. For those who would suggest that all of the Commandments are binding today, with the exception of the fourth (the Sabbath Commandment) . . .